© Kheilik, 2016. All rights reserved. 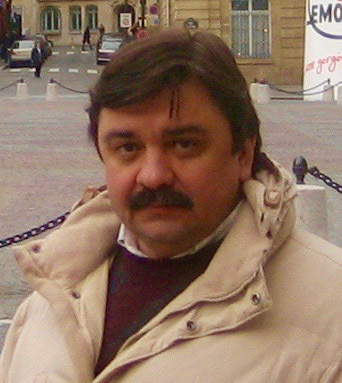 I am Alexander Kheylik (Kheilik). I have never sought popularity. Moreover, I have always tried my best to avoid it. I have never been fond of school, college, office parties or any parties of the kind. However, at the same time I like dealing with people, sharing the info I know, my ideas and knowledge. And still popularity is something I dislike. For some reason in 2000 a couple of hatchet men who worked for well-known periodicals published some misinformation about me on a topic hot there and then. They fomented a high-profile scandal picked up by a number of mass media in different countries. Moreover, some "friends" who pursued their own purposes copied these articles and sent them to people I knew. As a result, many of these people gave up on me at that time. Some are still trying to make use of those disastrous articles though they know the info stated in those articles was completely wrong and even have some written documents to prove it. But my family hates the entire situation. They were quite shocked then. They are still distressed cause if you make a thorough search with the help of online search engines you still can find some of those evil articles and/or republications of theirs. We have attempted to delete those publications a few times. I was assisted by the district prosecutor and police of Lugano (Switzerland). My children and assistants were corresponding with editors of the periodicals who published the articles (I am planning to post some of that correspondence in the section “blogs” of this website). From time to time the articles do disappear but after a while they pop up all of a sudden. I would like to add that none of my family members trust paper articles and the press in general anymore. Besides, they are quite skeptical of any historical records of both modern and, particularly, old times. “Well”, I thought. “A blessing in disguise! Let me try and publish some info of a different nature here then. Maybe some people will find it useful”. I believe I've got a couple of ideas to share. Who knows, maybe I will be lucky to find any like-minded and/or interested people.